GSX offers a best-in-class environment for education, networking, and business building that will provide year-round benefits for attendees and exhibitors alike. 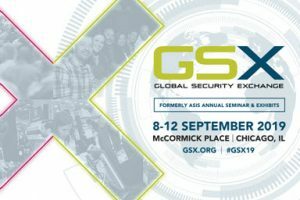 The GSX education program—led by ASIS, InfraGard, and Cyber Security Summit subject matter experts—consists of a full curriculum of quality content in an immersive and interactive learning environment, offering insights and best practices to security professionals at every stage in their career. Explore 350+ expert-led sessions, each designed to deliver valuable, actionable takeaways to help shape your security strategy—today and in the future. For information, visit www.GSX.org.